WASHINGTON, DC, January 16, 2013 (ENS) – Nuclear watchdog groups warn the the nuclear industry is rushing regulators tasked with a new court-ordered environmental impact statement for the spent nuclear fuel piling up at reactor sites across the country. “The nuclear industry association – the Nuclear Energy Institute – is pushing so hard to get the Nuclear Regulatory Commission to do a hurry-up version of a court-ordered environmental impact statement on the long-term storage of nuclear waste that it is even pressuring the federal agency to rely on such unsatisfactory ‘evidence’ as secret reports that the agency has reported as being lost,” 24 national and grassroots environment groups warned in a joint statement Tuesday. However, say the groups, the truth is that there has been no such new public study undertaken in more than a decade and none of the available old studies meets the requirements for an environmental impact statement. Also, “whatever new information the Commission has on the topic is either classified or otherwise withheld from public disclosure and, to make things even worse, the classified studies have gone missing, according to a NRC statement to the General Accountability Office,” the groups said. 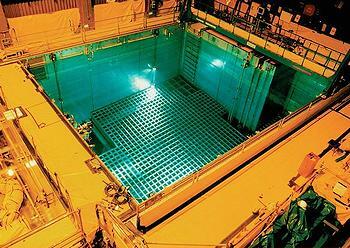 In comments available online, the groups warn that, in seeking a “slapdash report carried out on a truncated two-year timeline,” Nuclear Energy Institute is placing the industry’s economic agenda ahead of public safety and also “flouting” the U.S. Court of Appeals order that forced the NRC to scrap its previous Waste Confidence Rule and to compile a fresh EIS about long-term nuclear reactor waste storage issues. In June 2012, the U.S. Court of Appeals for the D.C. Circuit vacated the Nuclear Regulatory Commission’s 2010 Waste Confidence Decision and Temporary Storage Rule and remanded them to the agency for study of the environmental impacts of storing spent fuel indefinitely if no permanent nuclear waste repository is licensed or if licensing of a repository is substantially delayed. Spent nuclear fuel remains highly dangerous for long periods of time. It has long-lived radioactive materials in it that can seriously contaminate the environment and harm public health if released. Additionally, spent nuclear fuel contains plutonium-239, a radiotoxic element that can be used to make nuclear weapons if separated from the other materials in the fuel. In rebutting the Nuclear Energy Institute’s January 2013 submission to the Nuclear Regulatory Commission, the groups allege the industry group is making any argument necessary to rush through the EIS process in two years specifically so that pending reactor licenses can proceed unimpeded. In doing so, the Nuclear Energy Institute argues that all or most of the information the NRC needs for the environmental impact statement is already at hand. The Yucca Mountain Nuclear Waste Repository was to be a deep geological repository storage facility for spent nuclear reactor fuel and other high level radioactive waste, until the project was defunded by Nevada Senator and Senate Majority Leader Harry Reid in 2010. It was to be located on federal land adjacent to the Nevada Test Site in Nye County, Nevada, about 80 miles northwest of the Las Vegas Valley. The United States now has no plan for another long-term geological repository for spent nuclear fuel. “We know from the staff of the NRC itself that much more time will be needed for a thorough review in order to satisfy the National Environmental Policy Act,” Curran said. “NEI’s arguments also flout the Atomic Energy Act, which forbids the NRC from elevating the economic interests of the nuclear industry over NRC’s responsibility to protect public health and safety and the environment,” she said. The 24 groups filing today’s supplemental comments are: Alliance for Nuclear Accountability, Beyond Nuclear, Blue Ridge Environmental Defense League, Center for a Sustainable Coast, Citizens Allied for Safe Energy, Citizens Environmental Awareness of Southern Ontario, Don’t Waste Michigan, Ecology Party of Florida, Friends of the Earth, Georgia Women ‘s Action for New Directions, Hudson River Sloop Clearwater , Missouri Coalition for the Environment, NC WARN, Nevada Nuclear Waste Task Force, New England Coalition, Nuclear Information and Resource Service, Nuclear Watch South, Physicians for Social Responsibility, Public Citizen, Riverkeeper, San Luis Obispo Mothers for Peace, SEED Coalition, Sierra Club Nuclear Free Campaign, and Southern Alliance for Clean Energy.